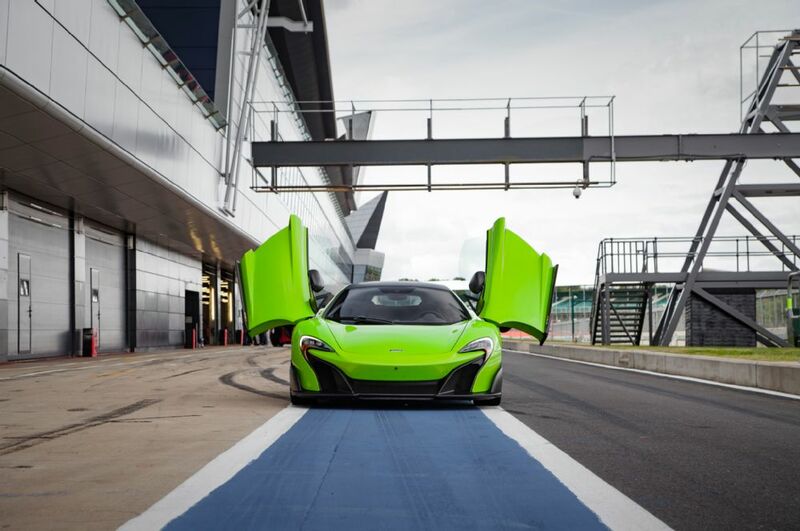 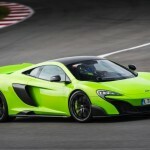 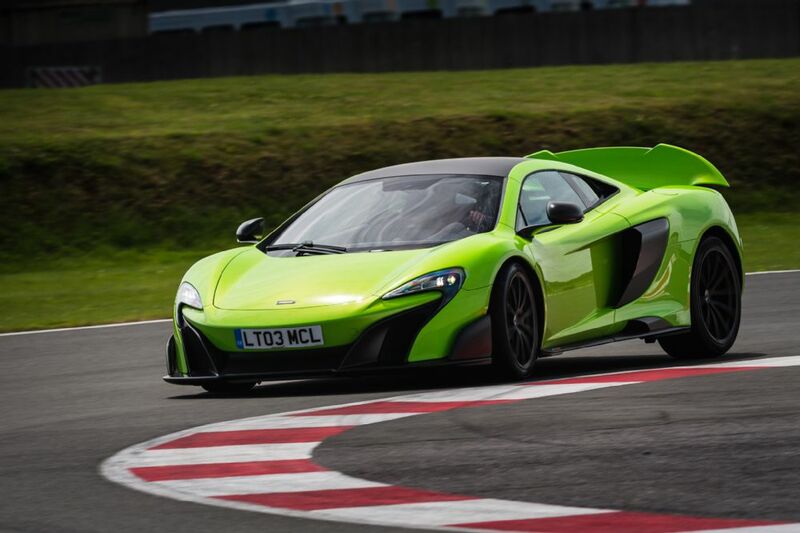 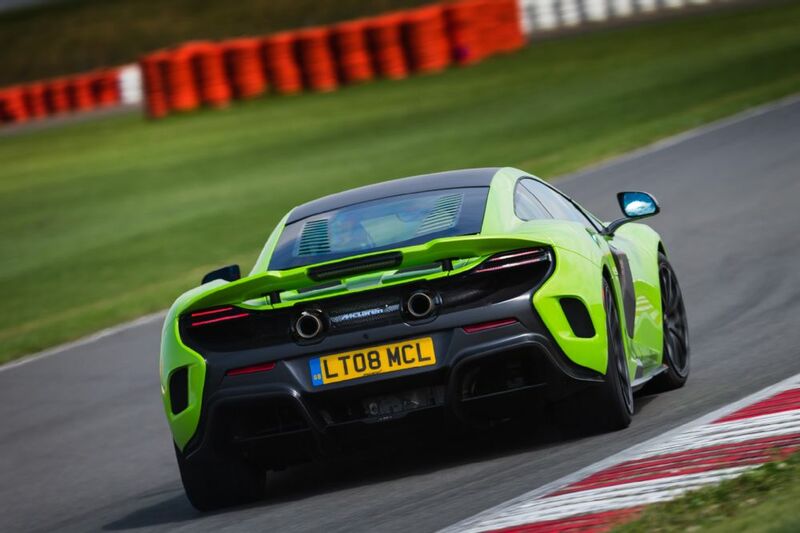 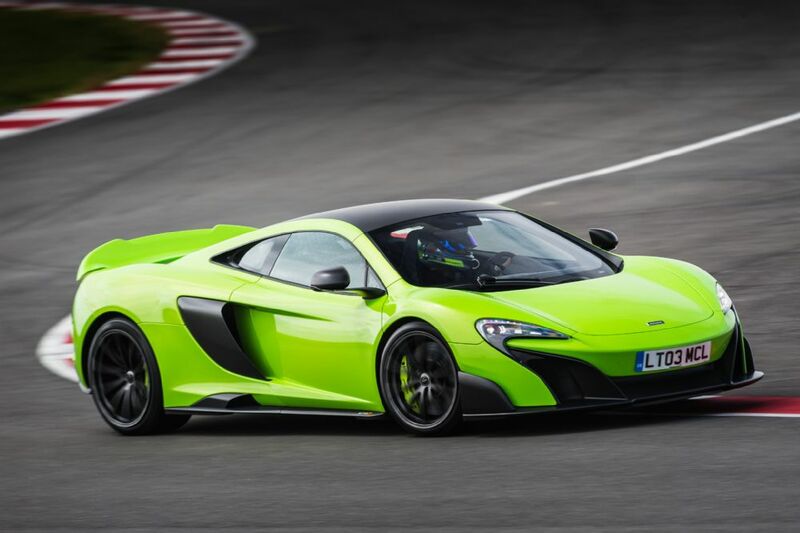 Experience the raw adrenaline of the McLaren 675LT, the lightest, most driver-focused, most exclusive series-production McLaren supercar ever built. 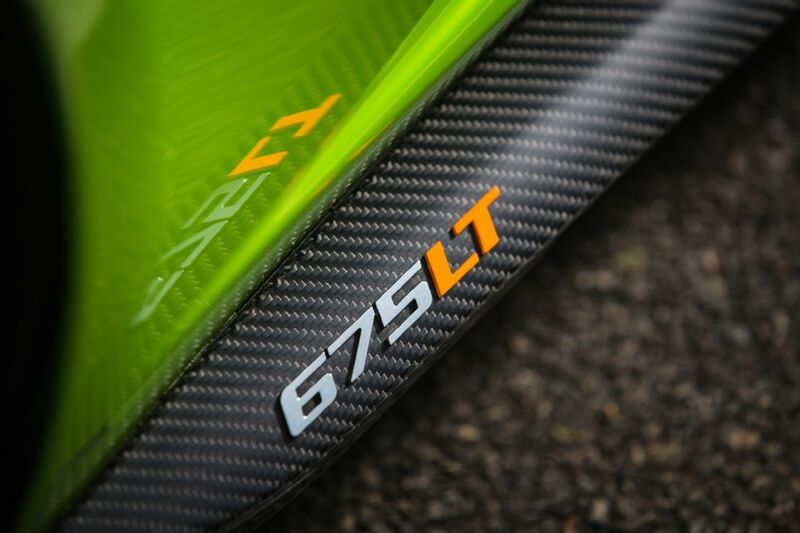 The 1997 McLaren F1 GTR ‘Longtail’ was the ultimate evolution of the Le Mans-winning F1 GTR. 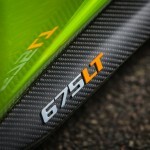 Almost two decades on, the limited-edition 675LT follows its uncompromising ethos to create a visceral driving experience of unique intensity. 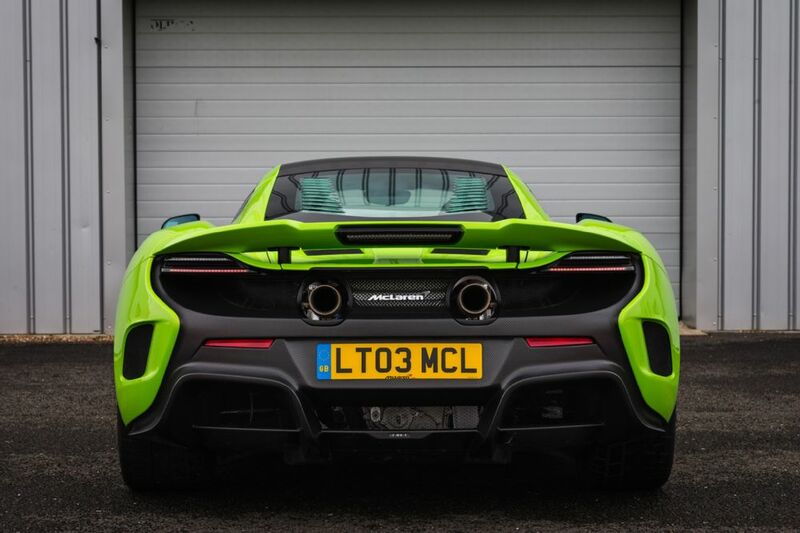 More power, less weight, more precision – nothing has escaped our attention in the quest for perfection on both road and track. 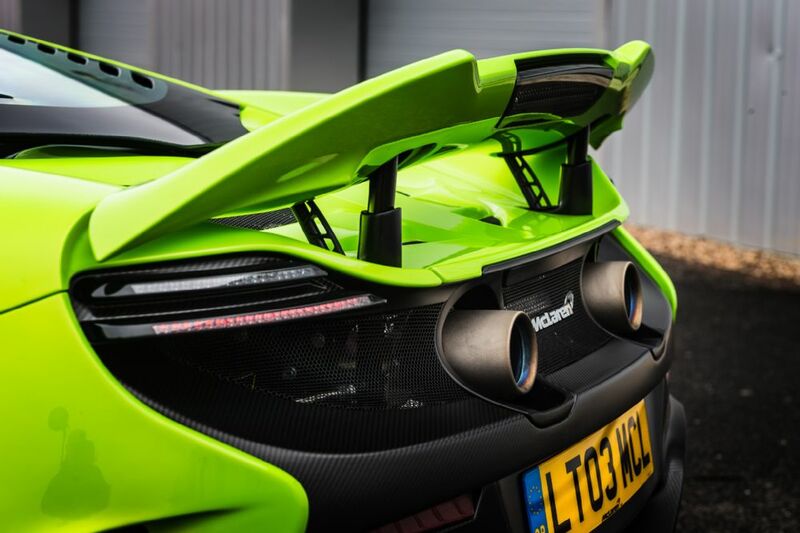 Inspired by the McLaren F1 GTR ‘Longtail’, the 675LT features striking carbon fiber bodywork that increases down force by an astonishing 40 percent over any other model in the Super Series. 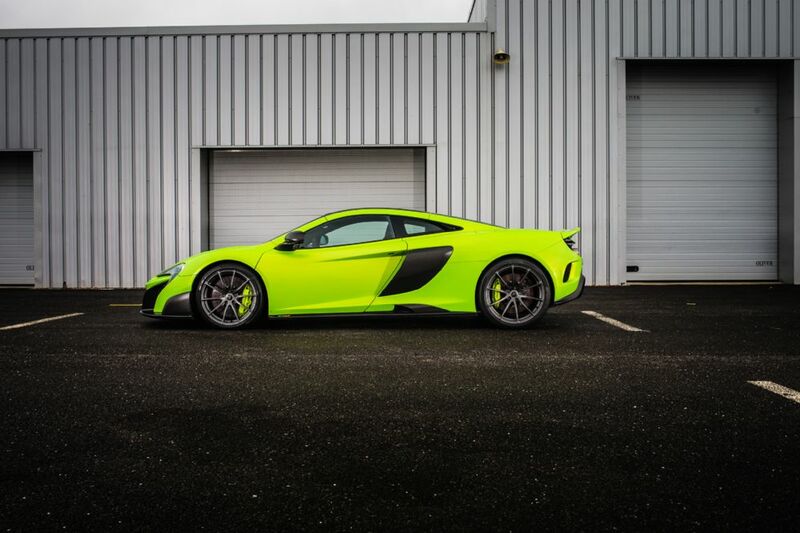 Performance is similarly striking. 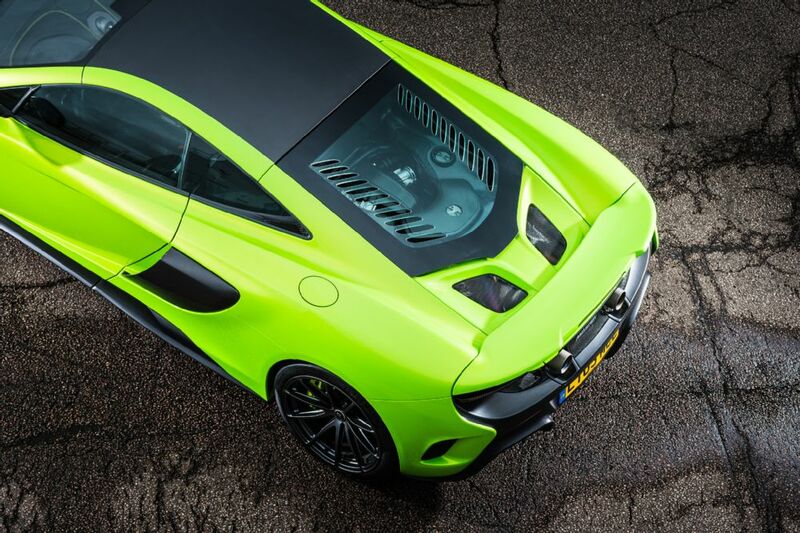 The re-engineered M838TL V8 twin-turbocharged engine produces 666bhp and 516lb ft – increases of 25bhp and 16lb ft – and the seven-speed dual-clutch gearbox is now twice as fast. 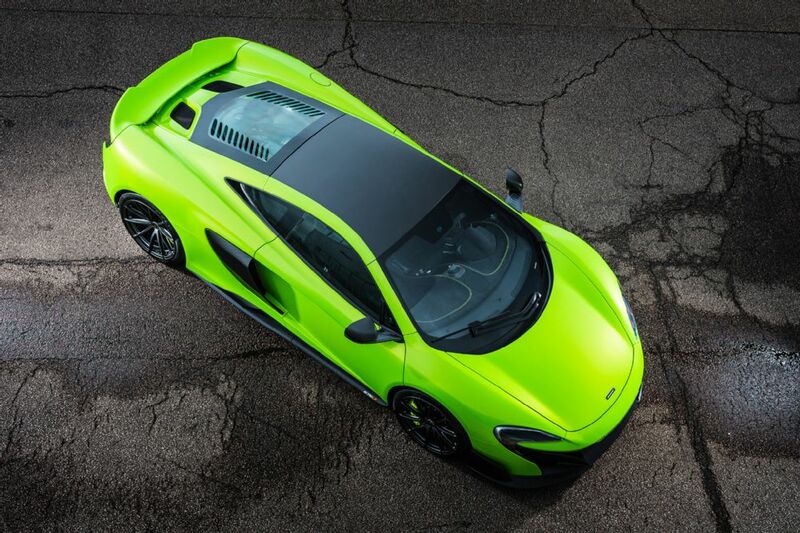 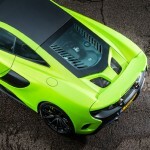 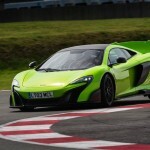 0-60 comes in a blistering 2.8 seconds along with a 10.4 second quarter mile time and a top speed of 205 mph. 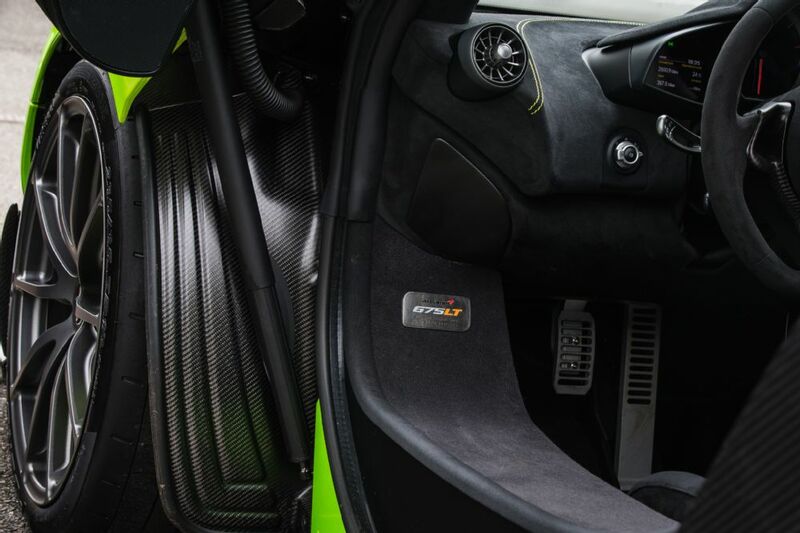 The carbon fiber MonoCell provides the 675LT with an unrivaled combination of lightness, safety and stiffness, in common with all models in the McLaren Super Series. 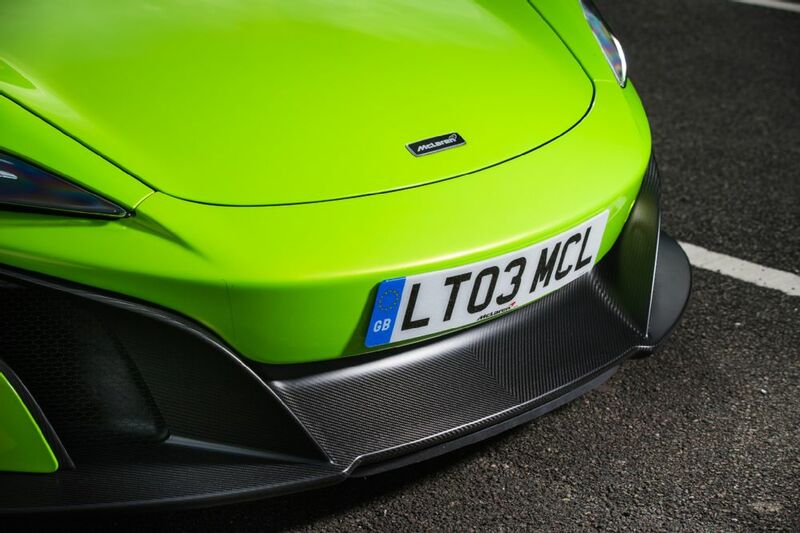 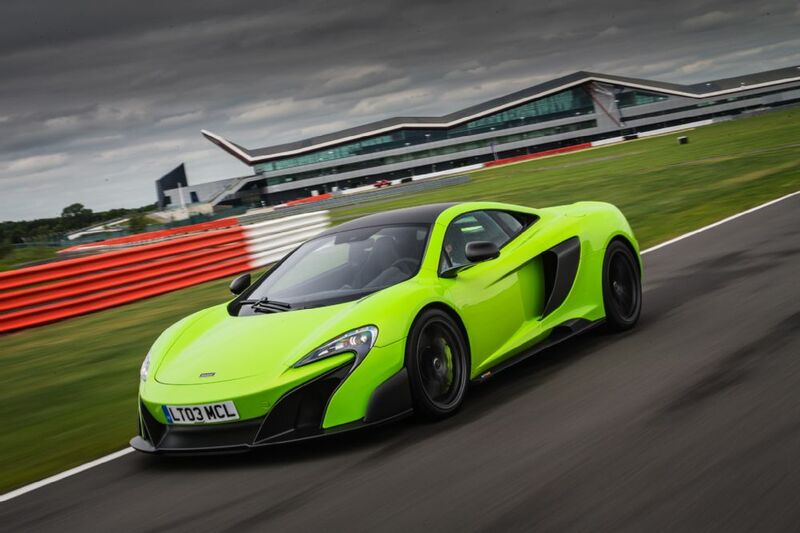 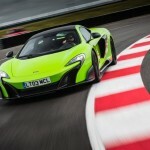 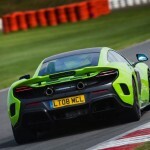 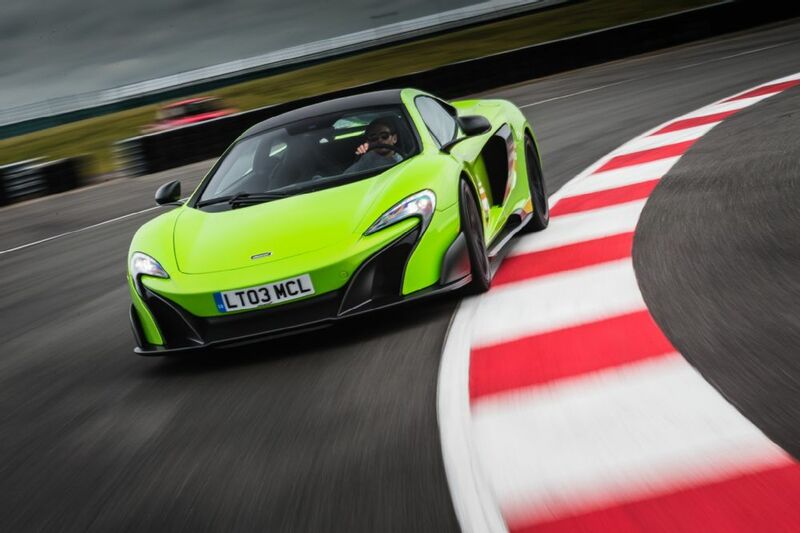 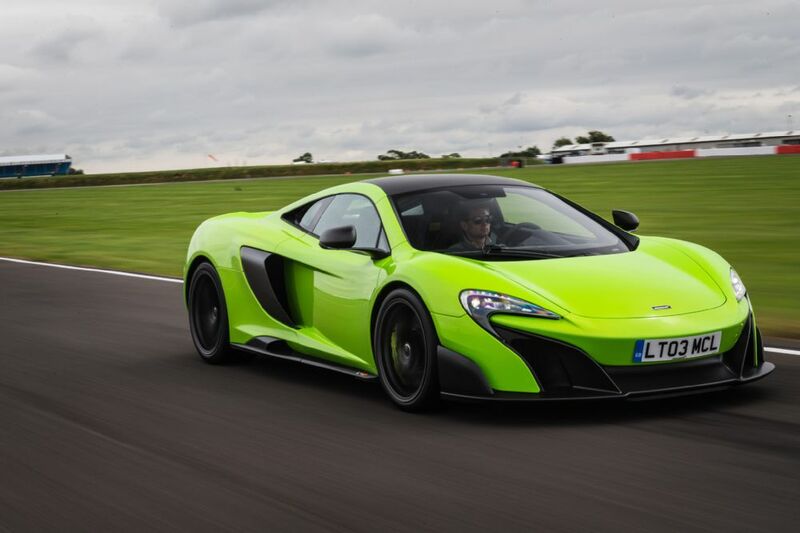 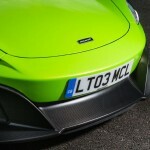 But an obsessive weight-saving strategy unlocks a further 100kg reduction compared with the 650S. 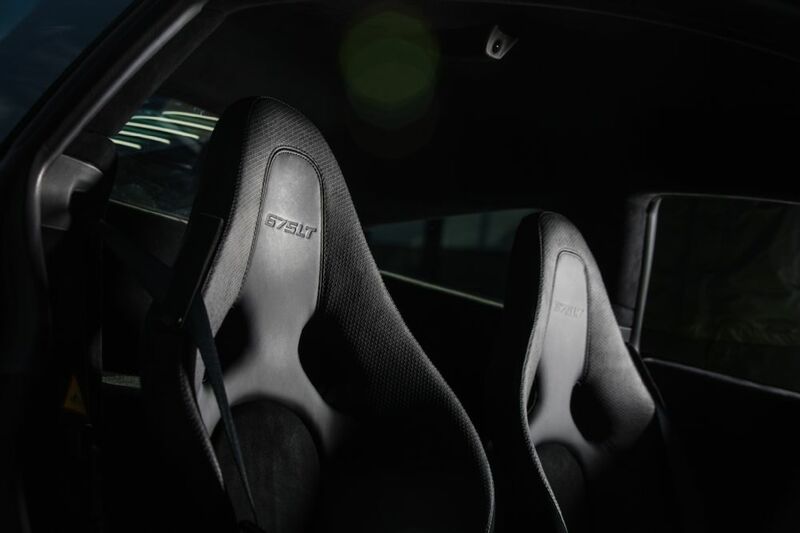 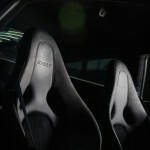 From lightweight carbon fiber racing seats to a 1mm thinner windscreen, no opportunity to save weight has been overlooked. 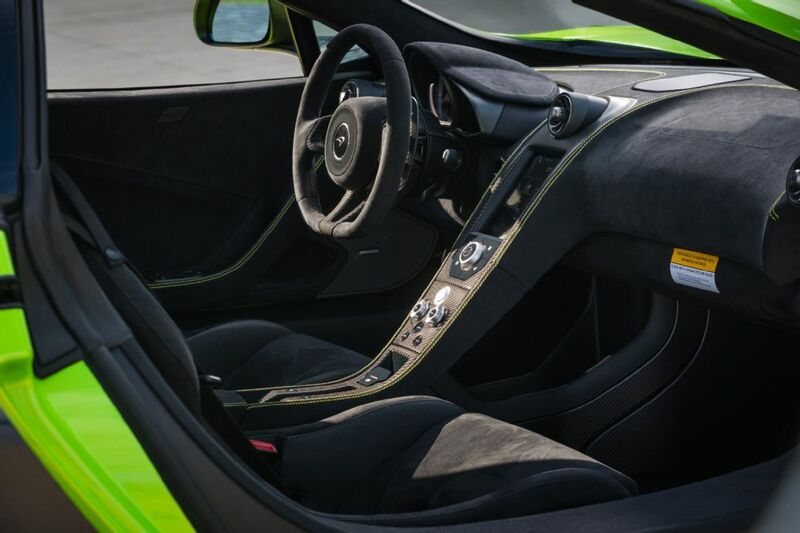 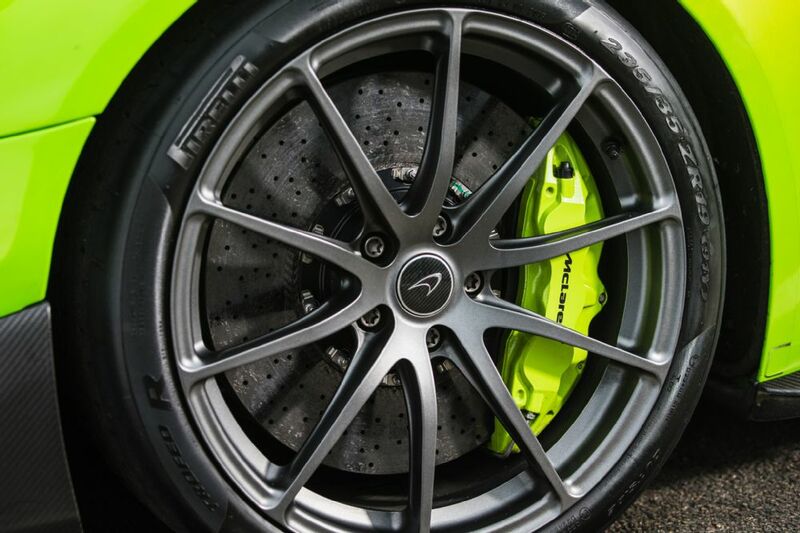 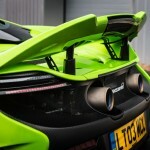 Ultra lightweight forged alloy wheels and Pirelli P-ZERO™ Trofeo R tires, carbon ceramic brakes and an updated suspension system that embraces technology from the McLaren P1™ also contribute to the radical specification.